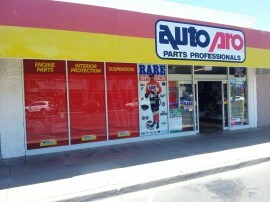 Autopro Rare Spares Mildura is a locally owned & operated family business supplying the Automotive enthusiasts of Sunraysia & surrounding districts. Featuring a high level of Automotive knowledge the staff are here to help you with all your queries & needs. Large range of parts & accessories in stock & to add vale were a Rare Spares Distributor showcasing a huge rage of Rare Spares parts.